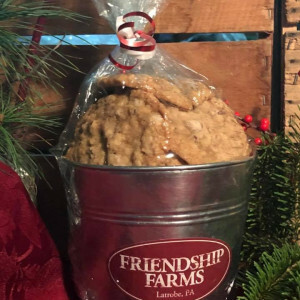 Feed Bucket of cookies! 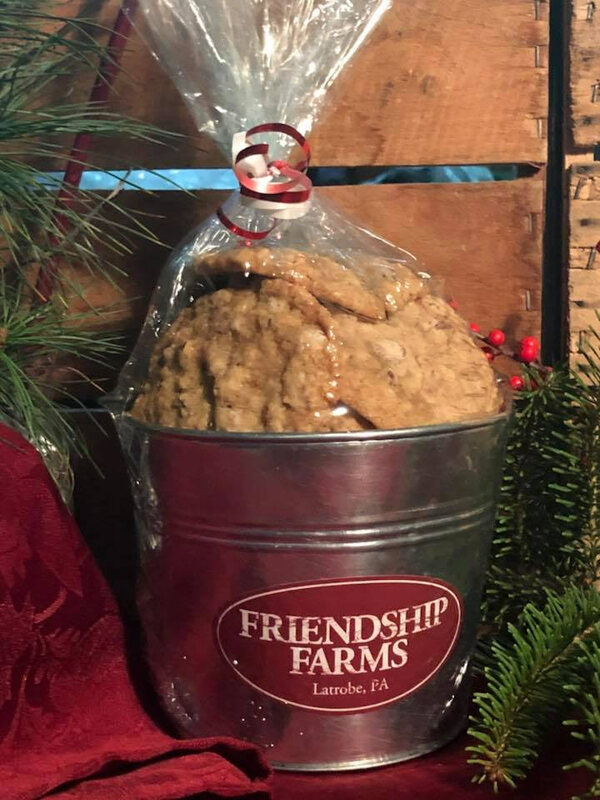 We pack a dozen of our famous chocolate chip cookies, oatmeal raisin cookies or oatmeal chocolate chip cookies (choose one flavor) in this cute feed bucket. It’s an affordable option to give someone a unique and tasty treat! $25 packed for shipping (plus shipping) or $20 picked up at our Farm Store.